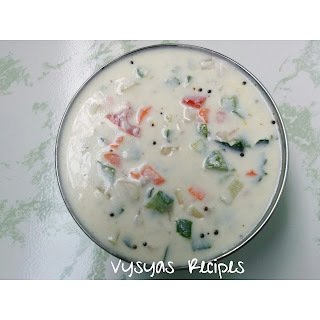 Mixed Vegetable Raita is a quick nutritious healthy yogurt based Side dish made with fresh yogurt,mixed with chopped veggies.it Goes well with Roti,Paratha's, Pulao,Biriyani,Bisibelebath & Tomato Rice.I used veggies like onion,tomato,cucumber,bell pepper & carrot.you can used cooked potato,corn kernels,steamed cauliflower or broccoli.you can have bowl of this raita as a meal,which will be filling & nutritious.you can have it as a starter or served with main course. Peel the skin of carrot & Cucumber. Chop the onion,tomato,carrot, cucumber,capsicum, coriander leaves & curry leaves finely. crush the pepper corns little coarsely. Add crushed pepper corns & roasted cumin powder. Mix well. 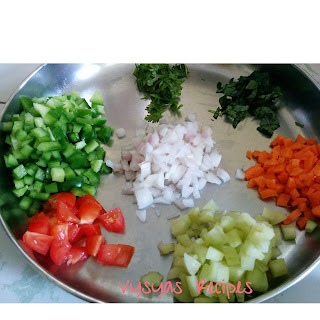 Add finely chopped Onion,tomato,carrot, cucumber,capsicum, Coriander leaves & Curry leaves.Mix them into yogurt. Heat the oil, add mustard seeds, when it splutters add hing,switch off the flame & pour this tadka over Raita. 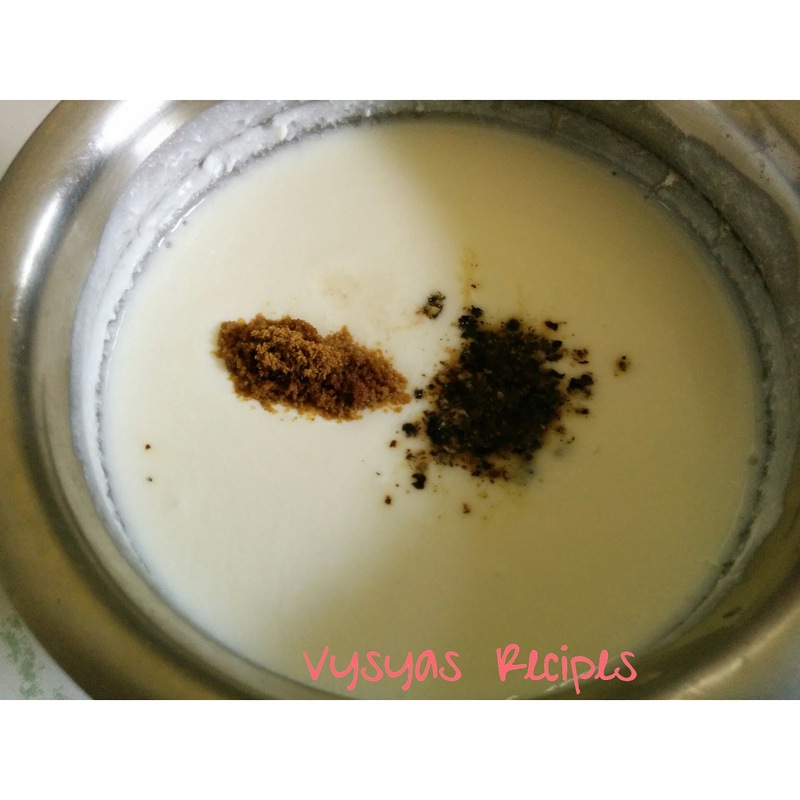 Serve Raita with Roti,Paratha's, Pulao,Biriyani,Bisibelebath & Tomato Rice. 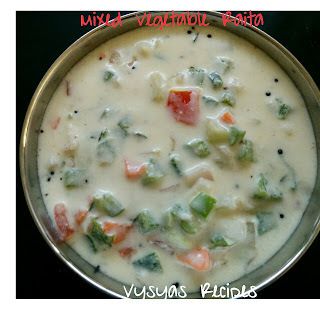 you can also add veggies like cooked potato,corn kernels,steamed cauliflower or broccoli. you can add pepper powder also,but i used crushed Pepper corns for Extra taste & flavour.